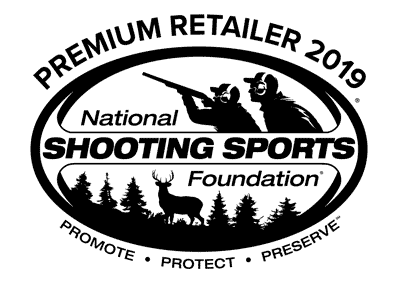 Magazines considered High Capacity are controlled by the ATF and/or local jurisdictions are not available for purchase/shipment in all areas. 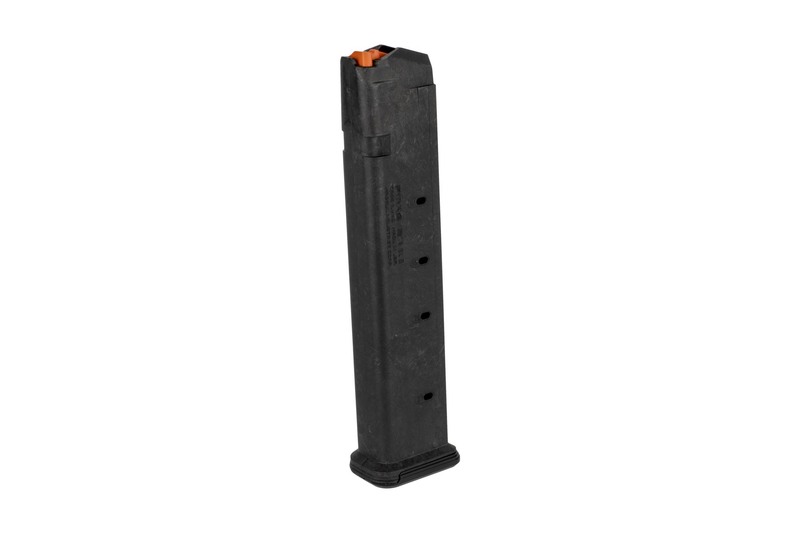 The PMAG 27 GL9 is a 27-round Glock 9mm handgun magazine featuring a proprietary all-polymer construction for reliability and durability over thousands of rounds. 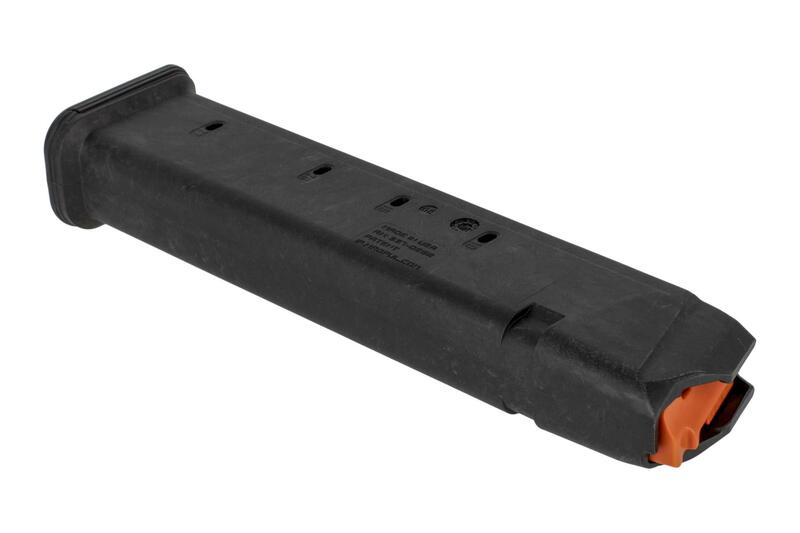 Meeting the overall length requirements for a 170 mm competition magazine, the PMAG 27 GL9 offers additional capacity without the need for expensive extensions. High visibility controlled-tilt follower, stainless steel spring, easily removable floorplate for cleaning, paint pen dot matrix for mag marking, ridged floorplate edges for better grip, and capacity indicator windows. Drops free loaded or unloaded. 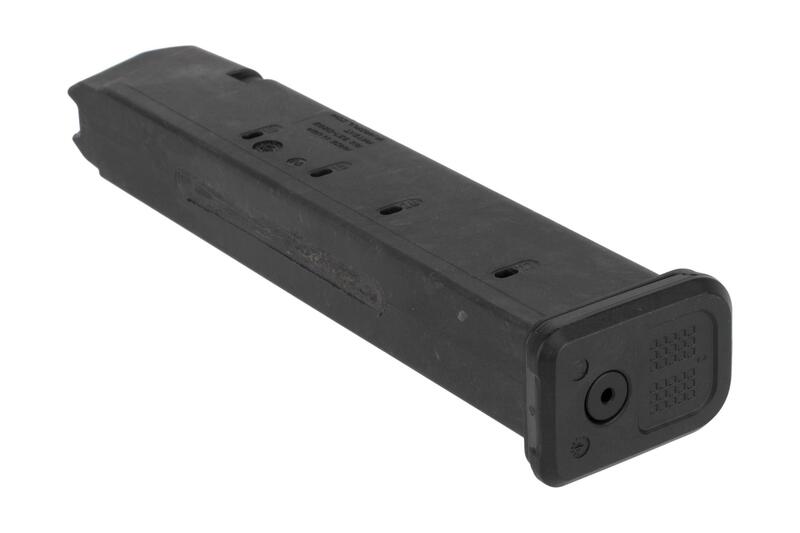 NOTE: The PMAG 27 GL9 is compatible with all full-size, compact, and sub-compact double-stack Glock 9mm variants with some protrusion below the grip.